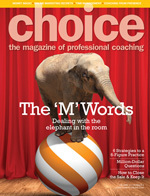 Betska K-Burr - Coaching and Leadership International Inc.
Betska is Co-President at Coaching and Leadership International Inc. Having developed 80+ award-winning coaching methodologies which enrich a Leader�s competencies and bring peace into their life, she leads the Instructor Team at the CLI school where Leaders learn a profound coaching skillset. Betska is an industry pioneer in the development of Whole Brain Coaching methods which generate high level ROI - a very rewarding return on investment. 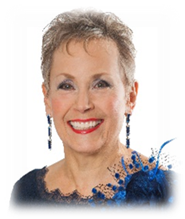 Affectionately called The Guru Coach� by her students and clients, Betska is a Canadian best-selling author of many books including Creating Champions, Flying by the Seat of Your � Plans, Build a Boooooooming Business and The �God� in Coaching � The Key to a Happy Life. Business awards include: 2003 and 2007 Awards for Innovation, 2009 Lifetime Achievement Award, 2010 a most prestigious award � The Pride of HR Profession Award (Mumbai India). �We all know that LOVE is the best medicine in the world. ~ Dr. Bogdana Macovei, M.D. Dr. Bruce Lipton: Our Genes don't Control our Lives - Our Beliefs do. Watch this short 8 minute video to change your life.